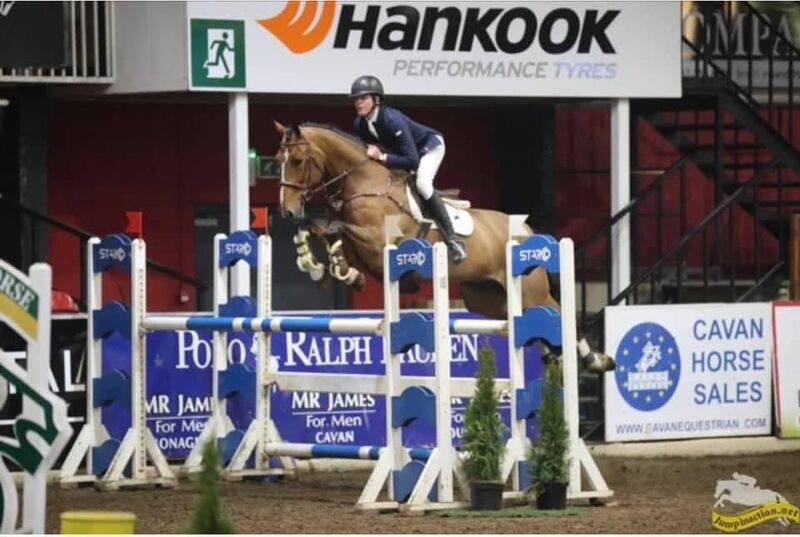 Our next rider and Bluegrass Horse Feed customer to answer the Behind the Success questions is Galway based young showjumping rider Daniel McAlinden. He currently produces horses for Alan Briscoe of Leanorth Sport Horses and comes from a family steeped in equestrianism including his grandfather Willie Leahy from the world famous Dartfield Equestrian Centre. Lets find out a little more about him and his favourite Bluegrass products. Fairfield in the pub, I bought him 2 years ago and he had very little done but he got me jumping the Grand Prix’s and was 2nd in the overall Connaught Grand Prix league last year. Edwina Tops Alexandra’s ‘Inca boy’. Dublin Horse show, it’s the main goal every year. I wouldn’t be a fan of either to be honest. I don’t have time to be watching musicals anyway! My Antares saddles. They are so comfortable and fit all the horses very well. I try to keep myself and the horse as calm as possible. For the bigger classes I will take deep breathes to stay relaxed, it helps a lot. I don’t have time to do other hobbies but I used to play a lot of hurling and I still like to follow it. I also love following horse racing. I really want to win the young rider 1.35-1.40 class in Dublin this year. Re-leve, I have a lot of my horses on it. They all feel really good and are performing very well. 3 or 4, my grandfather is Willie Leahy so we were never short of ponies. Cuaifeach, it means the Connemara whirlwind. He was a Connemara. Ann Henning wrote a book about him. Being 2nd in the Connaught Grand Prix league last year and being leading young rider. 14)What’s your favourite training exercise? Canter poles with different distances, it makes them very adjustable. Practice like you’ve never won and compete like you’ve never lost, it’s the screen saver on my phone.